Often motorists face a problem like discharge of liquid from the cooling system. One of the reasons may be corroded plugs in the engine block of the car. To correct the problem enough to get them out and put new one. Remove the "minus" terminal, and remove it from the battery. Drain the coolant from radiator and cylinder block. 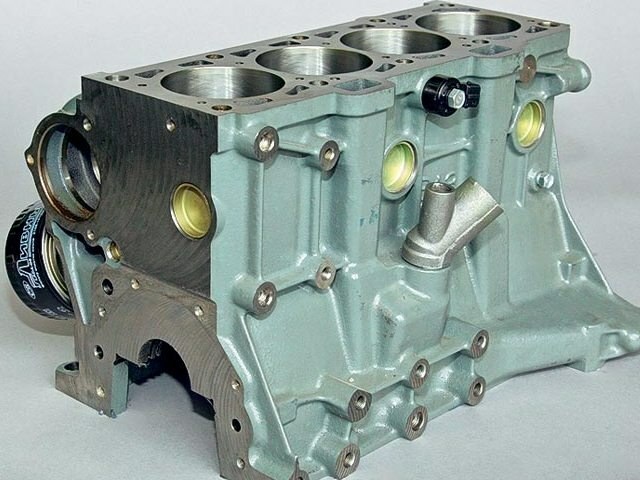 Evaluate the possibility of the access plugs to cylinder block. If necessary, remove the head unit. To do this, disconnect the muffler pipe from the exhaust manifold. Remove the bracket of the inlet pipe of the coolant pump. Remove the air filter by disconnecting the first hose ventilation cover cylinder head and carb. Close the carb with the special cover. Disconnect wires from candles and the gauge-allocator of ignition, from other sensors and carb. Remove the gauge-allocator of ignition, disconnect the fuel hose from the fuel pump, from carb - hose drain fuel, disconnect the hose of the vacuum amplifier of brakes and hoses from the outlet pipe of the cooling jacket of the engine. Disconnect from the engine the drive cables of the throttle and air valves of the carburetor, remove the protective cover of the timing belt cover and the cylinder head. Unscrew the nut of the tension roller and remove the roller from the axis and remote ring and then a belt from the crankshaft pulley. Unscrew the bolt and remove the pulley from the spigot, Unscrew the nut fastening the toothed belt to cylinder head. Remove the bolts and remove the cylinder head. Take in one hand a chisel or piercer, and in the other a hammer. Put the chisel on the edge of the plug. Gently tap with a hammer on the chisel. The plug should turn. Pry it and pull with pliers. If the plug has corroded so that it is not rotated, drill out the hole in it, screw her knob and remove it. Use the pointer with a magnet, if you need to pull the plug fell inside. This pointer should be in the Toolbox, if necessary, it can always be purchased at any auto shop. The fallen pulling the plug to the hole, pull it out with pliers. Clean the hole edges from rust with sandpaper. To improve air-tightness before installation, you can spread the edges of the new plugs with sealant. Put the plug in the hole. Press it using the right size mandrel and a hammer. Install the cylinder head in place. Refill the cooling system with antifreeze or water. Connect the negative cable to the battery. Check the operation of the motor vehicle. Plug cylinder block serve to prevent damage to the unit in case of water freezing in the cooling system. During freezing of water, these plugs are pushed out, and the unit remains intact.